There are many bike types available, each with a different purpose and range of features. 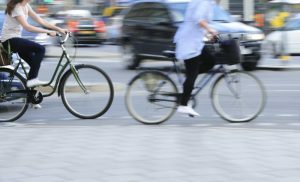 If you are new to cycling – or returning to the saddle – it can be a bit daunting making the right choice from the growing number of options and price points available. Your local bike shop is the best source of advice and information to assist you in making the right decision. Nothing can substitute sitting on a bike and giving it a test ride to decide if it’s right for you before you buy. Before you buy a bike, make sure you ask yourself some questions. A. To get the most out of your bike and enjoyment out of the experience, think about what type of cycling you will mainly be doing. Commuting – such as to work or the shops. 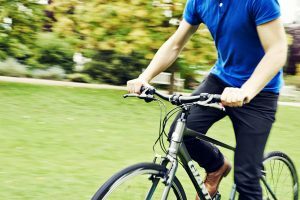 Cycling for leisure – such as along local cycle paths, forest routes or mountain biking. Cycling for competition – such as road or off-road racing. A. You get what you pay for and never more so then when it comes to buying a bicycle. 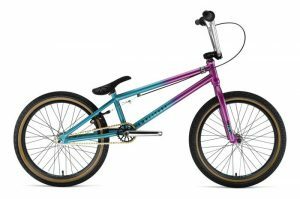 Try and get the best you can afford because it will ultimately be a better investment in terms of quality components, features, durability and ride. Click here to use the Ride it away bicycle finance calculator. 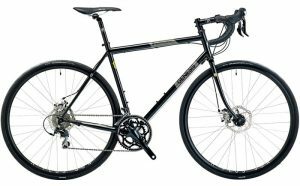 Here are a few of the main bike types you are likely to find at your local cycle shop, plus a brief description of their uses and suitability. A commuter bike is designed solely with the purpose of getting its rider to work and back daily and with minimal fuss and maintenance. This genre of bike arguably takes more abuse than all of the others combined as it tends to be ridden all year round, through all weather conditions with little-to-no love or care shown. 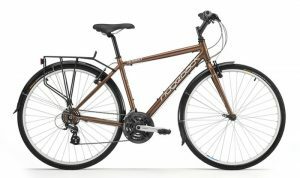 Neutral colours, practical features, thick puncture-protected tyres and relaxed positions are standard on this genre of bike, but that’s all! Commuter bikes are as diverse as their riders and all the better for it. 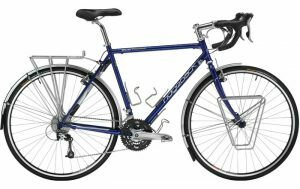 Internal hub gears are popular on commuter bikes as they offer a variety of gears with little maintenance, and a pannier rack and mudguards are also recommended. This is your traditional racing bicycle; it is designed for going fast on smooth, paved roads. There are usually few concessions to comfort, and the position is long and low for aerodynamic benefits. This bike type are built to be incredibly light but also stiff so that every bit of effort exerted by the rider shoots straight out of the back wheel. A very hazy term that covers an enormous variety of different bike types. Anything that falls between a road bike and a mountain bike is lumped into this diverse category. Options are available with different frame materials, wheel and tyre sizes, some with suspension and some without. The thing that unites hybrid bikes seems to be riser handlebars. These provide a very upright riding position that feels familiar and comfortable to both experienced cyclists and complete newbies. Hybrids, like ‘all-road’ bikes, are also extremely versatile and are a true jack of all trades, but a master of none. Standing for “bicycle motocross”, this bike type is a fast paced, mass-start racing event that sees adults on what appears to be children’s bikes flying around a finely sculpted track with jumps and pumps and berms at breakneck speed. This is just one discipline of BMX, with riders now having spread to the street, skate parks, dirt jumps and more. A sport with so many disciplines leads to an enormous variety of the different kind of bikes used to participate in it. Uniting factors tend to be small frames and wheels, usually 20-24 inches (for strength, maneuverability and light weight), and very low saddles (to give the rider plenty of room to flex their legs to absorb impact). These fashionable, traditional bike types are all the rage on the continent. An incredibly laid-back position assures that almost anybody can ride one and load-carrying capabilities, built-in locking mechanisms and fully-enclosed drivetrains make them surprisingly practical around town. The weight, geometry and gear selection ensure that these bikes are not well suited to the hills. Singlespeed bikes are bike types with only one gear. Favoured as a winter bike by club cyclists for decades, the charm of the humble singlespeed lies in its simplicity. One gear means less maintenance, higher durability and less to go wrong. However, it is also worth noting that riding in one gear puts considerably more stress on the few drivetrain components that are present, not to mention the rider’s knees. 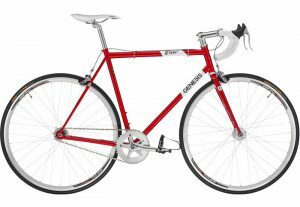 Fixed gear bicycles are similar, but do not feature the freewheel mechanism that allows you to move forward on other bikes without pedaling. Originally popular with bicycle couriers in the 1980s and 1990s, who praised the bikes for their “zen” ride quality whereby you can speed up, slow down and even stop the bike using only your legs, fixed gear bikes became highly fashionable in major cities the world over in the ‘noughties’. A traditional bicycle made to be loaded up and ridden long distances. Built from robust and repairable steel with wide-range drivetrains (usually with triple chainrings) that allow the rider to scale the most intimidating mountain pass even with 30kg of equipment and supplies attached to their bike. Touring bikes usually have an upright riding position as speed is not a factor and comfort is the number one priority. They do, however, tend to retain drop-handlebars so that the rider can still get down low to tackle a stiff headwind. These bikes feature thick and puncture resistant tyres, high numbers of bottle cages, a frame mounted pump, and sometimes even spare spokes attached to the stays in case of breakages under the huge loads. Durable and easily accessible components are chosen for touring bikes, as the rider never knows where exactly they’ll be when their chain breaks or they need a new inner tube. 700c road wheels are standard, but 26 inch wheeled options are also available, purportedly because it’s tough to find a 700c tube in India! Electric bikes – more commonly known as e-bikes – provide powered assistance to help the rider get to their destination without exerting themselves. In principle it’s like a normal bicycle with the addition of a battery pack and an electric motor. You can recharge the battery pack at any time by plugging it into the mains. 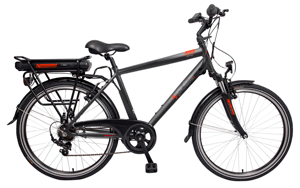 Besides having a power assist, e-bikes do not differ from normal bicycles. So consider all the criteria you’d use to choose a normal bicycle when looking at e-bikes. Throttle type have a switch on the handlebar, which you use to turn the motor on or off and to vary its power. On most electric bikes you have to be pedalling for the motor to work. Pedal-assisted e-bikes – also known as ‘pedelecs’ do the thinking for you so there is no need to control the power. Instead, the bike senses how much power you are applying to the pedals, and adds to it – so that the harder you pedal the more power it gives you back.